Saif Ali Khan is once again ready to entertain the audience with his upcoming film, Chef. The actor landed on the sets of the show Drama Company for promotions in Mumbai on September 26, 2017. 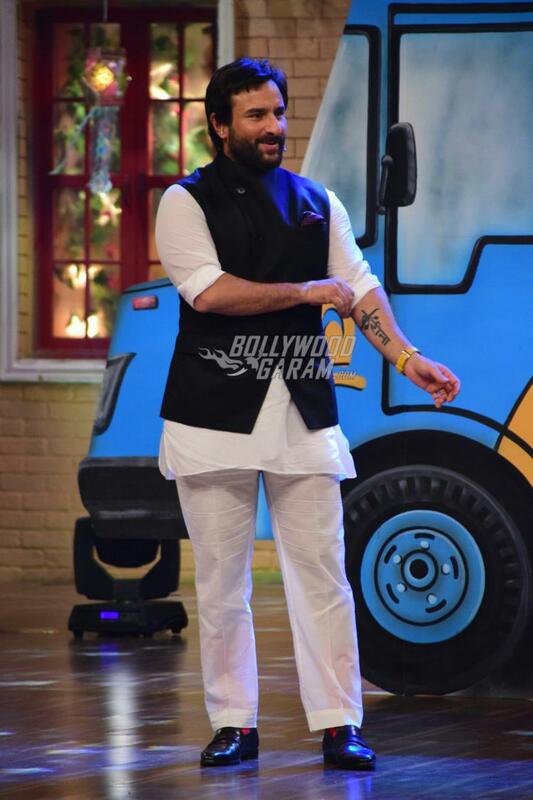 The Rangoon actor looked dapper in a white kurta and pyjama and a black Nehru coat and was seen having a great time with the actors of the show including Krushna Abhishek, Ali Asgar, Mithun Chakraborty, Sugandha Mishra and others. 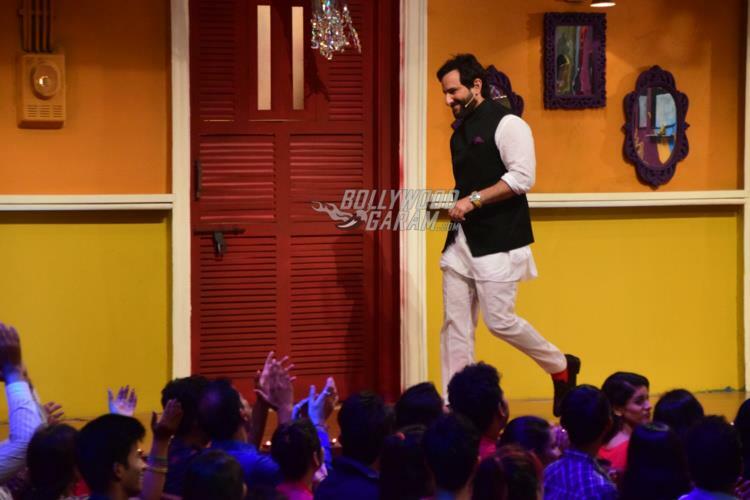 The show has become one of the most talked about and popular shows on TV and Saif seemed enthusiastic while promoting his upcoming film. The Kal Ho Na Ho actor is gearing up with the promotions of the upcoming film which is directed by Raja Krishna Menon and is due to be released in theatres on October 6, 2017. The film also stars Padmapriya Janakiraman and Dhanish Karthik while Russell Peters and Kareena Kapoor Khan will be playing a cameo in the film. 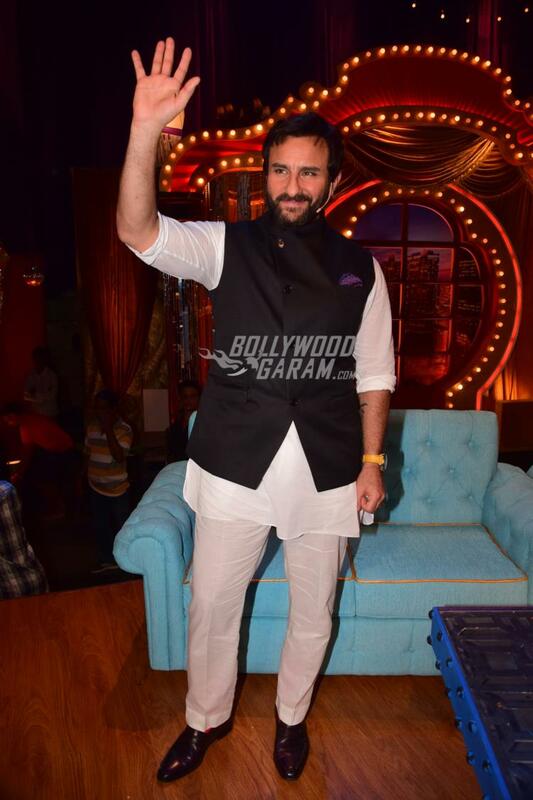 Exclusive photos of Saif Ali Khan at Drama Company sets promoting Chef!